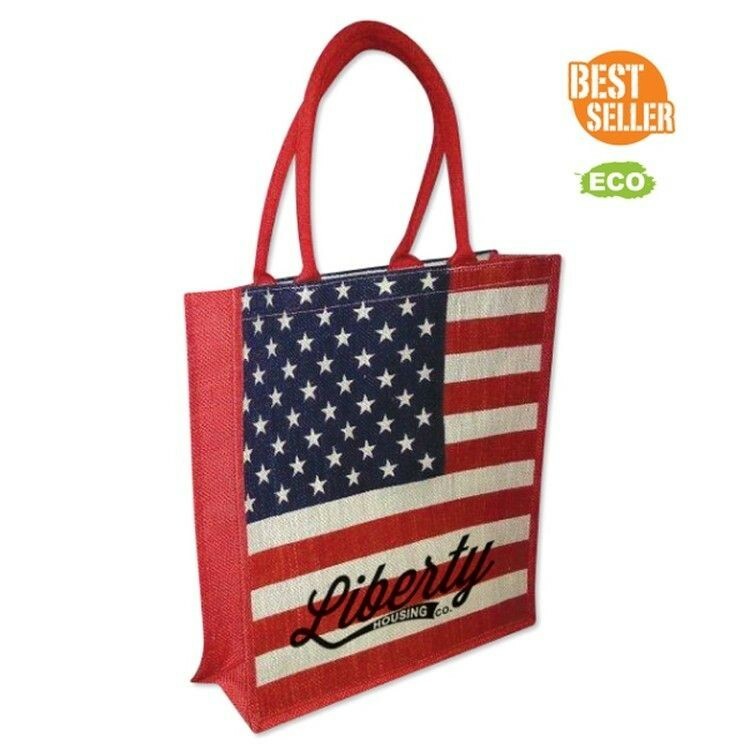 This size of bag is perfect for your customers to use in the grocery store. The bags stiff backing will allow it to stand up in the cart making it very convenient. Using this as an ecofriendly giveaway makes sense, because it will be used again and again by the end users. This is made of a new material called JUKO. It is a combination of organic jute and cotton. The two materials combined have an increased organic and recyclability rating. JUKO’s less course surface has an added benefit of being easier to print on than jute. These bags have a stiff backing that makes them stand firmly on their own. This JUKO size is perfect for shoe boxes or for a quick trip to the local market. The rope handles will give you a very comfortable grip that will let you carry things for hours. This is made of a new material called JUKO. 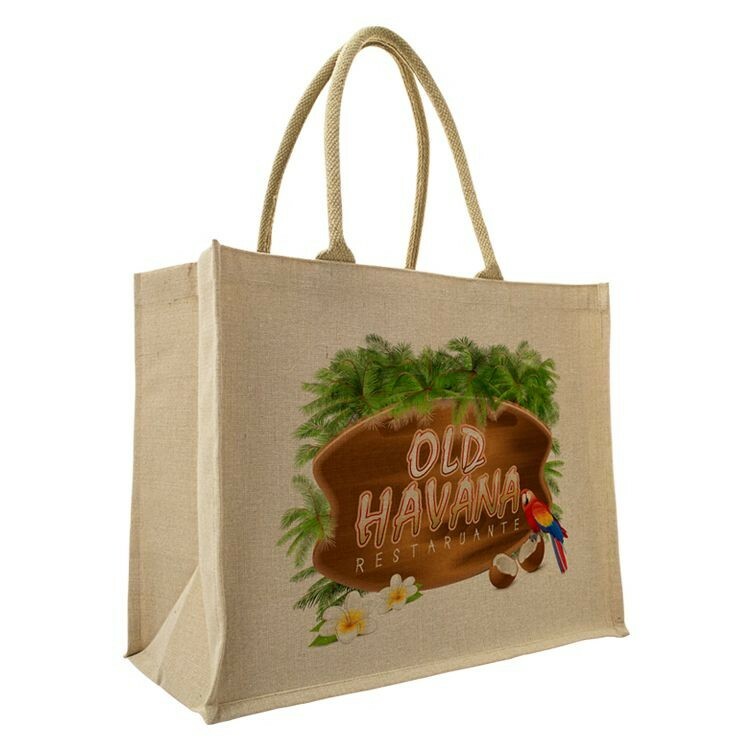 It is a combination of organic jute and cotton. The two materials combined have an increased organic and eco-friendly rating. JUKO’s less course surface has an added benefit of being easier to print on than jute. These bags have a stiff backing that makes them stand firmly on their own. This is the largest JUKO bag we currently offer. 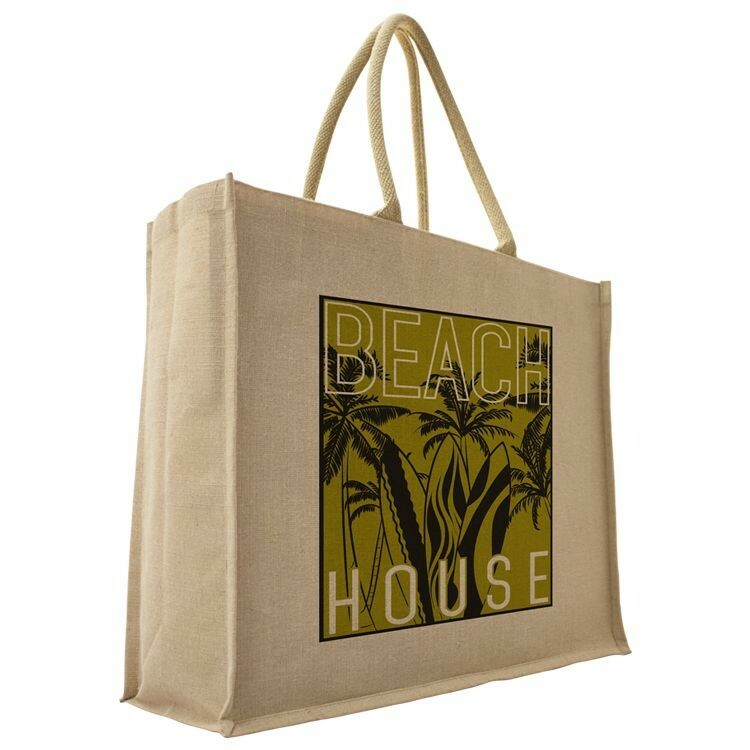 It makes a great large grocery tote. It will sit well in the cart making it easy to fill. End users will be lining up to get one of these if they are a giveaway. This is made of a new material called JUKO. It is a combination of organic jute and cotton. The two materials combined have an increased organic and recyclability rating. JUKO’s less course surface has an added benefit of being easier to print on than jute. 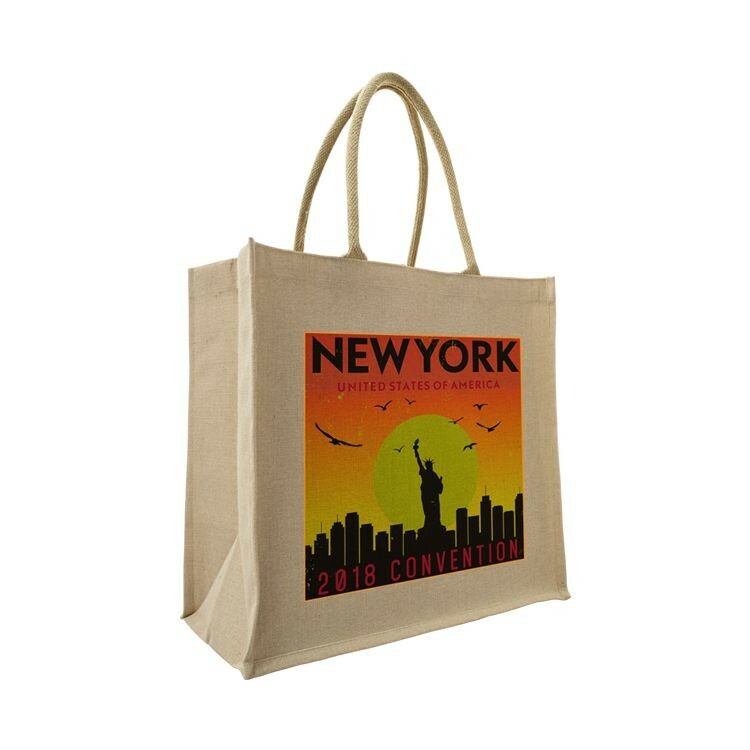 These bags have a stiff backing that makes them stand firmly on their own.